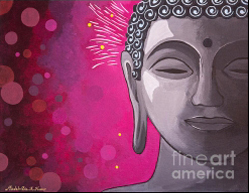 From the conversations the Buddha had with his followers we are able to learn some important aspects about Buddhism and the reason why the Buddha taught what he did. In this video I introduce some sutras that highlight four key characteristics of the Buddha’s teachings. In particular this video investigates whether blind faith is the order of the day in Buddhism or whether there is room for logical analysis and personal investigation, whether we need to expand our theoretical knowledge before we begin any sort of practice, and whether Buddhism is something that we should or shouldn’t become attached to.